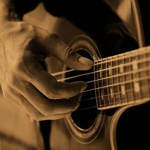 Learn how to play Fingerstyle Instrumental – Makin’ Whoopee note-for-note on guitar. This lesson covers the classic old standard Makin’ Whoopee, arranged as an instrumental for fingerstyle guitar. Although not a beginners’ piece, experienced fingerstyle players will get to grips with it pretty quickly. The complete file contains a lesson video, a performance play thru video, and full tabs. You’ll receive a link to download the lesson which will download as a zip file of 206 Mb containing all the lesson content. Send me you lessons. Let me choose. Send me a list of your lessons finger style. I am not too good so keep it simple.